Castle Comfort Stairlifts offers top brand stairlifts, keen prices and fast installs for all those seeking stairlifts in Stirling, Argyll. And all work comes with our no-quibble guarantees and famous customer service satisfaction. Stirling Castle sits majestically on a craggy rock above the city of Stirling, once the capital of Scotland and the Castle was home of the Royal Stewarts. Stirling itself sits on the boundary between the Scottish Highlands and the Lowlands. It has been known as the ‘Gateway to the Highlands’ through history and also as the ‘brooch’ which keeps these two areas together. What’s keeping your downstairs and upstairs together? Not a brooch but stairs probably. If these have become a problem for you then Castle Comfort Stair Lifts has the solution. 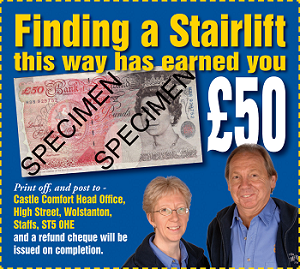 We know a lot about stairlifts having set up our business almost 15 years ago and we will have one just right for you. We have stairlifts for straight and curved staircases and even solutions if there are other problems i.e. if you can’t bend your knees, we have a perch stairlift. Join the ‘in’ crowd – there are already almost 200 people in Stirling who have discovered that owning a stairlift has improved their lives. We know because we keep count, you can see for yourselves here. Check out our prices and the different types of stairlifts. Still got questions? Please give us a call on 0131 242 0046 . The first settlement here dates back to the Stone Age and by Roman times, it was important because of its geographical position. But Stirling is probably best known for the Wars of Scottish Independence in the 13th century. The Battle of Stirling Bridge (nearby) where William Wallace a national hero, out-witted the English Army which had many more troops than he had at his command. 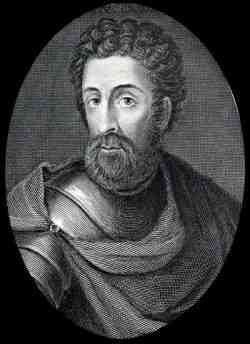 William Wallace is the inspiration for the film Braveheart. There is now a monument to William Wallace in Stirling. You can climb to the top – 247 steps - to see amazing views both across the town and to the Ochil Hills and beyond. Inside the Monument you can listen to William Wallace’s trial by the English King Edward I which resulted in Wallace’s execution. And it was here about a century later that Robert the Bruce won independence for Scotland at the Battle of Bannockburn. The castle sits on a rocky crag giving a sheer drop on three sides of the building which means it was relatively easy to defend. The first mention of Stirling Castle occurred in the 12th century when King Alexander I dedicated a chapel here. The Great Hall was the home of the Scottish Parliament and the Castle was the home of the Royal family. · That at the beginning of the 17th century the town council banned late night drinking because it was offending God and disturbing others? · That Rabbie Burns scratched a verse on the window of an Inn in Stirling about the state of the Castle? · That in 1800 when Stirling had a population of 5,000 there were 90 alehouses here? · That Stirling was chosen as the site for Scotland’s first ‘new university’ in 1964? · That Kenny Logan, Scottish rugby union player was born here? · That a host of ‘then and now’ footballers can claim Stirling as their home town? They include: Frank Beattie, Alex Bone, Billy Bremner, John Brown, Gary and Steven Caldwell, John Colquhoun, Callum Davidson, Kenny Deuchar, Jamie Fowler, Willie Garner, Gary Gillespie, David Goodwillie, David Graham, Dale Hilson, Willie Irvine, Kevin Kelbie, Andy Kennedy, Stewart Kennedy, Sean Kilgannon, Allan McGonigal, Paul McHale, Kevin McKinlay, Chris Mitchell, Gary Muir, Stevie Nicholas, David O’Brien, John Philliben, Scott Severin, Ray Sharp, John Shaw, Ronnie Sinclair, Jim Thomson, Jo Tortolano and Iain Turner. Enough for three teams! · That Stirling is also the home town of John Grierson a pioneer in documentary film making? · That Muir Mathieson composer of film music calls this his home town? · That animation inspiration Norman McClaren is also from Stirling? · That assorted Scottish Kings and Queens have connections with Stirling? 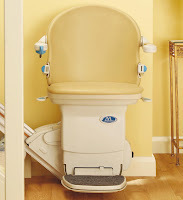 That Castle Comfort Stair Lifts can help you regain your independence. Owning a stairlift is the perfect answer to making the upper floor of your house accessible. We can make it happen as quickly as you can say William Wallace. Installations take less than half a day, some less than a couple of hours and our after sales service is excellent. All you need to do is give us a call on 0131 242 0046 .